St George’s runs the Chichester Carers’ Group which meets in the Centenary Centre here at St George’s on the second Sunday of every month from 2pm-3.30pm. It is an informal, drop-in group, a chance to share experiences in a friendly environment with other carers, and with information and sources of advice provided. Normally Jacques, an experience nurse from Crossroads, is here too to provide advice and support. 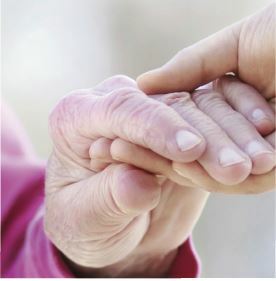 An estimated one in eight adults provides unpaid care to a friend or family member. Whether it is a few hours a week, or round the clock care, carers make an enormous contribution to our society. We know there are many local people with caring responsibilities, some of whom are left feeling isolated. The carers group provides a relaxing forum for carers to meet one another and hear about available support. There is no need to book, but if you would like further information please contact the Parish Office. Open to an adult with caring responsibilities. An informal opportunity to get to meet other local carers and hear about what support is available locally. Meeting the second Sunday of month at 2pm at the Centenary Centre, situated at the back of Saint George’s Church, accessible from Cleveland Road. No charge will be made or collection taken.